Tolstoy famously claimed that: 'All happy families are alike; each unhappy family is unhappy in its own way'. But what if the happy families are actually the most unique of them all? 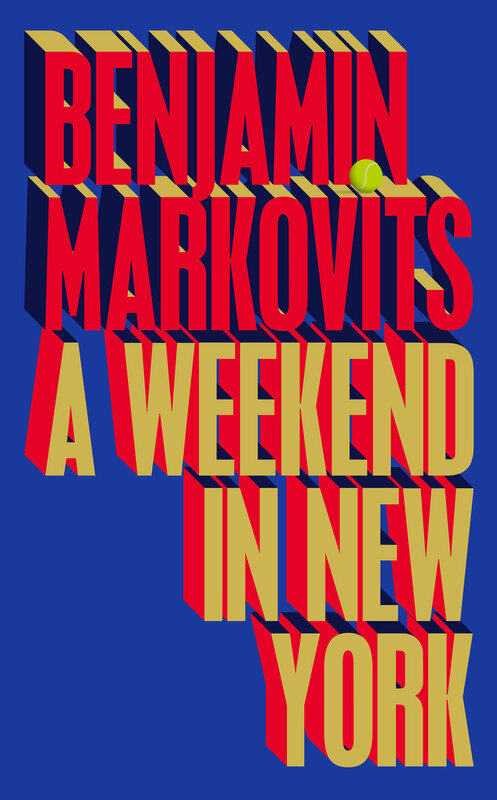 Ben Markovits' ambitious new fictional tetralogy immerses us in the lives of an upper-middle-class New York family, the Essingers, over multiple generations. In A Weekend In New York, the brilliant first novel in the quartet, Markovits vividly charts the experiences of mid-ranking tennis professional Paul Essinger at the ATP Tour and US Open. In stylishly compelling prose, Markovits interweaves the insular domesticity of family life with the sweeping forces shaping American society to create a deeply intimate - yet uncompromisingly political - portrait of America. This is a landmark American novel from the James Tait Black Award-winning author which channels the very best of Franzen, Updike, and Wallace. Benjamin Markovits grew up in Texas, London and Berlin. He is the author of seven previous novels: The Syme Papers, Either Side of Winter, Imposture, A Quiet Adjustment, Playing Days, Childish Loves, and You Don't Have To Live Like This. He has published essays, stories, poetry and reviews on subjects ranging from the Romantics to American sports in the Guardian, Granta, The Paris Review and The New York Times, among other publications. He lives in London and teaches creative writing at Royal Holloway, University of London.